Centuries ago, the best way to secure your home from theft or vandalism was to build a wall around it, preferably with a moat too. In 21st century America, many HOAs might take issue with your decision to construct a fortress in your neighborhood. 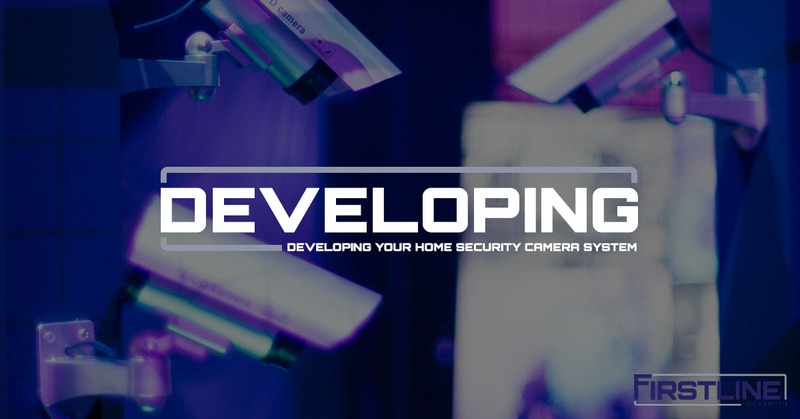 To meet the needs of modern homeowners, it’s now possible to better secure your home using a home security camera system. These systems are becoming ever more affordable and practical. When considering a security camera system for your home in Trenton, here’s some things Firstline Locksmith encourages you to think about. Often, when homeowners choose to set up a security camera system, they busy themselves with installing the cameras in hidden locations. Sometimes homeowners cleverly disguise their cameras as a birds nest or tuck them into an overhanging light fixture. While we appreciate this commitment to the aesthetics of the home, this is actually the wrong approach for a home security camera system! In fact, you want the cameras on and in your home to be visible and obvious. Why? The mere sight of a security camera acts as an amazing deterrent for thieves and miscreants. You want your home to clearly look monitored and you may even put a sign outside announcing that the premises are under surveillance. Unsavory types will think twice before trying to get into your home if they know they’re on camera. Setting up security cameras so that they are visible around your home is a great first step, but won’t do you much good if they aren’t positioned properly. For instance, if your home gets a lot of sunlight during the afternoon, you don’t want the sun blinding your camera. Similarly, placing your camera near a tree might lead to branches blocking the lens. Finally, you’ll want to think about the weather patterns we experience here in Trenton. Rain and snow can obscure your camera’s line of sight on your home. You’ll want to position your cameras in a sheltered area that is shady all day. Check the live feed from your cameras during a variety of weather conditions to make sure the elements aren’t obscuring your view. One benefit of modern home security camera systems is that many of them can be connected to your home’s internet. This means you can check the live feed of your home wherever you go. This allows you to quickly alert the authorities if there are suspicious characters loitering around your home. But because it’s connected to the internet, you’ll need to set up a password and login for your camera system. Avoid the easy route of using the manufacturer’s pre-programmed login name and password. If you don’t change your logins, a criminal could easily guess your password and gain access to your security system, which will let them monitor your habits and routines, and give them an idea of when and how to invade your home. Installing a home security camera system can seem like a big investment. Even mid-quality systems can be pricey, so, many homeowners hit the internet marketplace to find a cheap monitoring solution. While this may save you money in the short-term, it can cost you in the long-run. Cheap cameras often have poor resolution, meaning the video quality is blocky and choppy. Often these cameras lack any kind of night vision, so they are useless after dark. Some even lack basic recording functions and can only allow live monitoring, which isn’t useful if you’re away from an internet connection. When selecting a system, it’s important to do your research, consult reviews, and find a system that is the best quality for your budget. More than just a locksmith, Firstline Locksmith offers home security camera services to Trenton. When you contact one of our locksmiths, we can provide you with a complete security survey of your home. We’ll examine all of your points of entry, the strength of your existing security measures like deadbolts and locks, and then make recommendations on how to bolster your home’s security. Our locksmiths are qualified to install home security systems, including surveillance cameras. 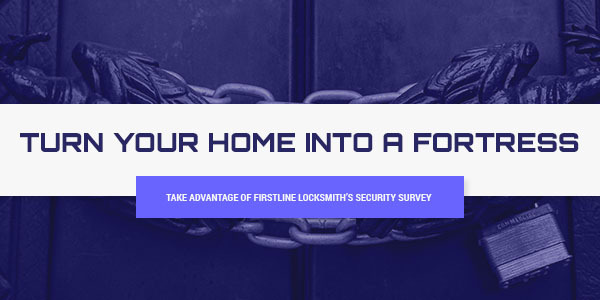 While you might not be able to put a wall around your home, you can still make it into a modern-day fortress with the security services of Firstline Locksmith.